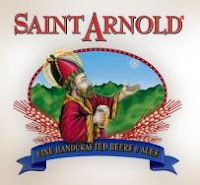 Monday, July 11th is the start of a week-long series of events organized by Saint Arnold Brewing called Feast of Saint Arnold Week. Events featuring Saint Arnold beers will take place at different locations daily with a portion of the proceeds going to the Texas Children’s Hospital IBD Center / Gastroenterology Clinic. The week then wraps up with a special feast at the brewery on Friday. $1 per pint to charity. Cask of Brown Ale, barrel aged with cherries. ALL proceeds will be going to the charity. Christmas Ale, Divine Reserve 11 and Barrel Aged Imperial Bourbon Stout (cask). Cask of Divine Reserve 11, plus more surprises when that runs out. $1 per pint going to charity. Feast of Saint Arnold, $85 per person with at least $50 per ticket going to charity.